Yellow Zoanthid  Parazoanthus sp. The zoanthids are a community of soft coral. 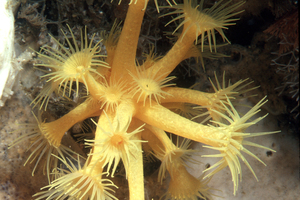 Zoanthid mostly live in a colony, which can cover metres of rock surface. Can also be found is small clusters of four or more.